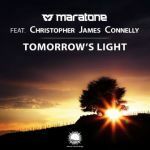 Here are your fan-voted favorites in orchestral & emotional uplifting trance! 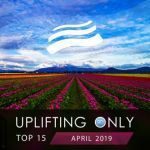 This mixcompilation contains 46 tunes (or edits thereof) that won the weekly Fan Favorite vote in 2013 & 2014 on Ori Uplift's Uplifting Only radio podcast aired on DI.fm and iTunes. It also contains 4 continuous mixes, for a total of 50 tracks. None of these tracks have previously been released on any previous UpOnly mixcompilation in these versions before! So even if you've bought all previous mixcomps, there's no repetition here. In fact, 28 of the 50 tracks have never before been released anywhere at all! 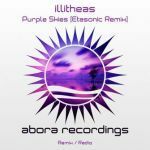 There are 26 radio edits & 20 fully dj-mixable tracks. 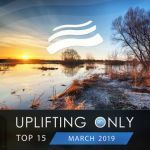 Music from by SoundLift, Ahmed Romel, Andy Blueman, Simon O'Shine, ReOrder, Playme, Kelly Andrew, Geert Huinink, New World, Emanuele Congeddu, Algiz, Manuel Le Saux, Sound Apparel, Afternova, illitheas, Aly & Fila, Ikerya Project, Etasonic, & more. In short, all the top orchestral uplifting artists. There are 21 radio edits that have never been released before. They are Saawariya, Shimmer, The Incursion, Horizonte, Into the Sky, Fantasy World, Love is the Answer, Oriente, Tranquility, First Kiss, Butterfly Effect, Beyond the Stars, No Words Can Tell This, True Love, Orion's Belt, Fields of La Tourette, Summerscape, Nocturne in C# Minor, Peace & Serenity, Flying Higher, & One Day.